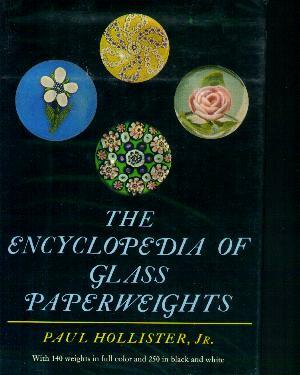 This is one of the earliest books to present a comprehensive view of the world of glass paperweights. Originally published in 1968, this landmark reference remains indispensable to anyone interested in collecting glass paperweights. 316 pages in black and white plus 24 color plates. 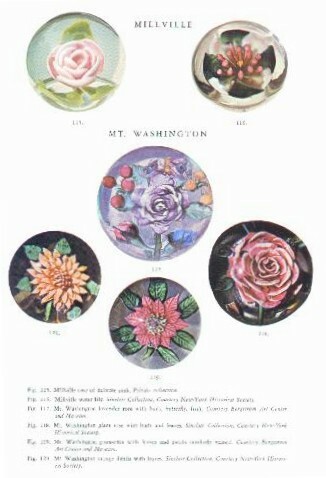 135 paperweights are shown in color on the color plates. In addition 240 paperweights and other objects are shown in black and white plus many drawings. Hardcover is shown. Available in hard cover and soft cover. Click on the picture to see a color plate from the book.